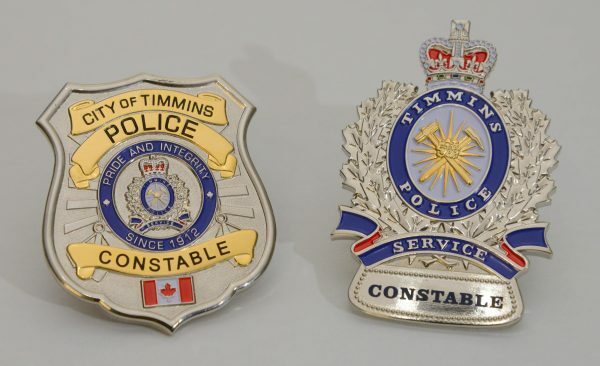 The Timmins Police Service marks a historic day in terms of their use of insignia as newly minted wallet and hat badges have been introduced into circulation. 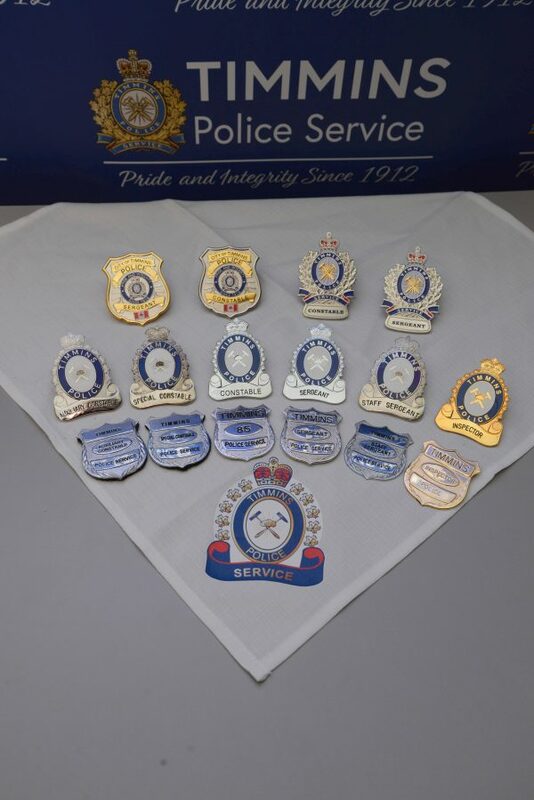 Each sworn police officer within the Timmins Police Service is now the proud bearer of a newly designed and impressive police badge and hat badge distinctive in design and unique to the Timmins Police Service. 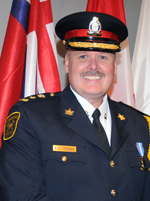 In this photo, Const McNaughton is presented with his badge by Sgt. Marty Delich. 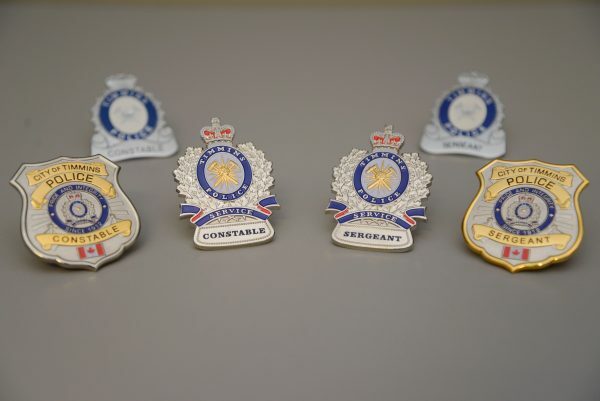 This marks the first time in over 40 years that new an unique insignia is being issued to sworn officers of the Timmins Police Service.